Vehicle type: Sedan conceptEngine: Hybrid electric with 2.5-liter, 4-cylinder gasoline engineWho designed it: Designers in Japan and California under Nissan design chief Shiro NakamuraWhat's cool: Front grille is shaped to resemble a kashimono, the angular-cut vest worn by a Japanese samurai warrior. The rear bench seat curves forward on each side to evoke a sofa in a lounge.Will it be built? 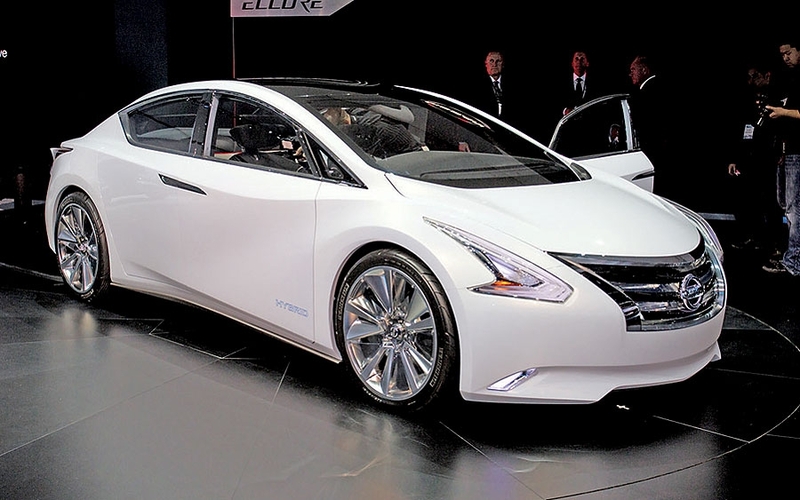 Nissan is 2 years away from unveiling a new Altima, and the Ellure is certain to influence that car's looks. The Ellure's assumption of a hybrid powertrain results in a shortened front end and engine compartment — something the next-generation Altima probably will embrace. 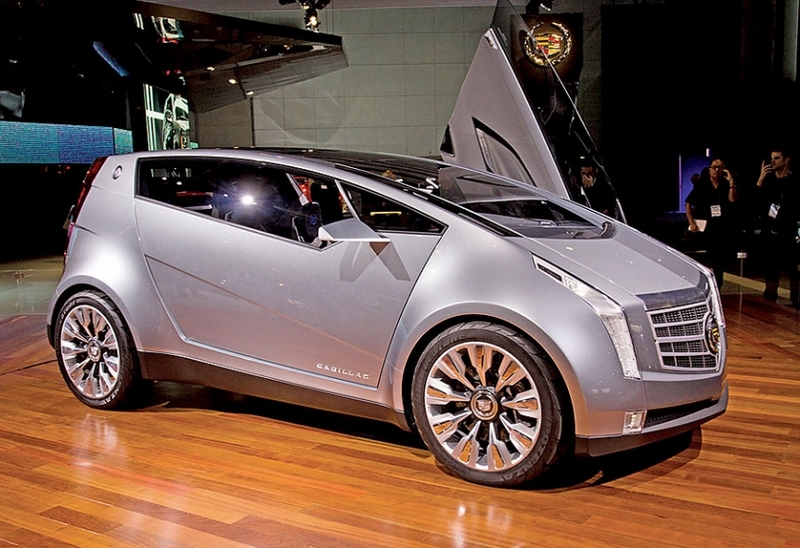 Show reaction: Sleek, daring; Nissan designers have taken the sedan into the future. Vehicle type: 4-door sedan conceptEngine: Because the Shinari is intended as a design exercise, it lacks a unique powertrainWho designed it: Mazda's Yokohama, Japan, studio, led by chief designer Yasushi Nakamuta, exterior; Mazda's studio in Irvine, Calif., led by Derek Jenkins, Mazda's director of design, interiorWhat's cool: A sporty and athletic look. It sits low and wide with an aggressive front end and a face that replaces the Mazda "grin" seen on the front fascias of the most recent iterations of the Mazda3 and Mazda2.Will it be built? 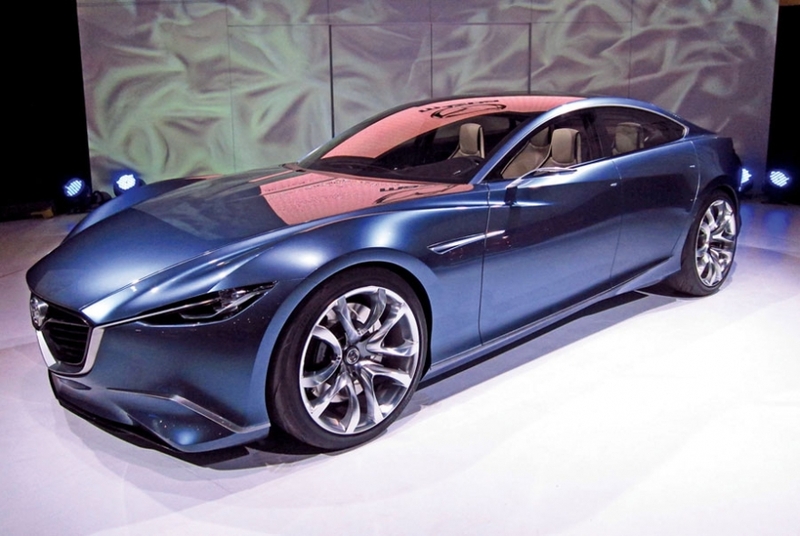 The next-generation Mazda6 will carry heavy design cues from the Shinari when it is released in the spring of 2012.Show reaction: The Shinari is definitely a departure from the swoopy Nagare design language, which has influenced Mazda's concept cars for the past 3 years. It's more elegant than some of the far-out concepts of recent years but maintains a sporty look that helps make a Mazda a Mazda. Vehicle type: 4-door sedan conceptEngine: 2.0-liter 4-cylinder Who designed it: Osamu NambaWhat's cool: It's bigger than the current Impreza and has coupelike styling.Will it be built? 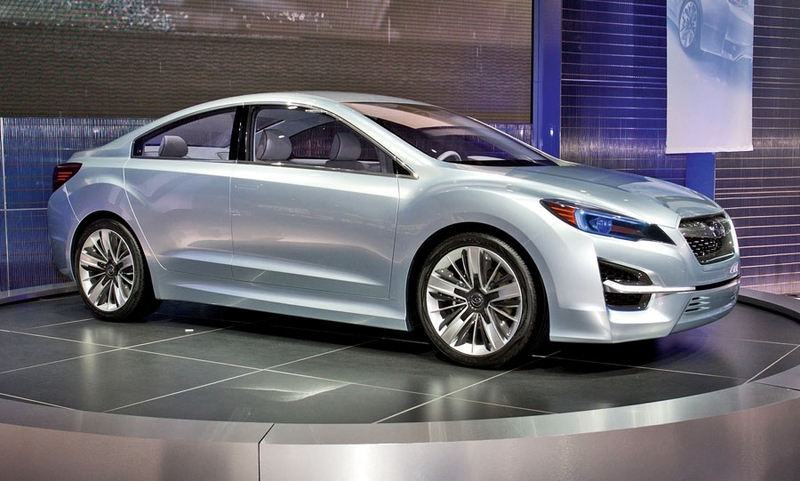 Yes, as the next-generation Impreza in 2011.Show reaction: Subaru's designs are improving as the brand sheds its quirky look.